Deleting the temporary files is one of the best ways out there to free up some significant amount of free space on your Windows operating system. Long time Windows users likely know how to manually delete temporary files without the help of third-party PC cleaning utilities like CCleaner. 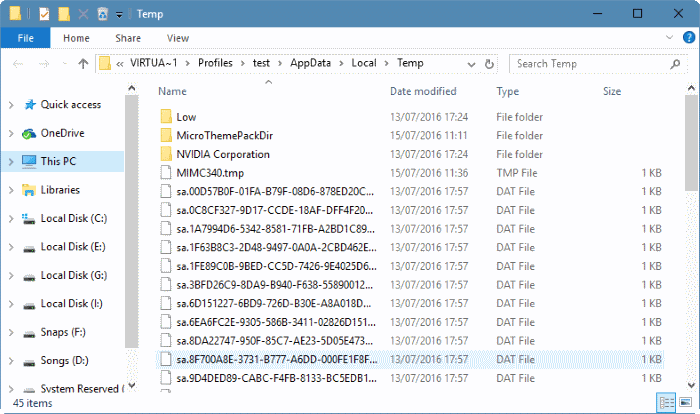 There is an easy and safe method to delete temporary files in Windows 10. You can use the Settings app to safely clear all temporary files in Windows 10 without installing additional software. Here is how to use the Settings app to safely delete temporary files in Windows 10. Step 1: Open Settings app by clicking its icon in the left-pane of the Start menu. Step 2: At the home page of Settings app, click on System icon. Step 3: Click Storage. Under Storage section, click on the drive where Windows 10 is installed. 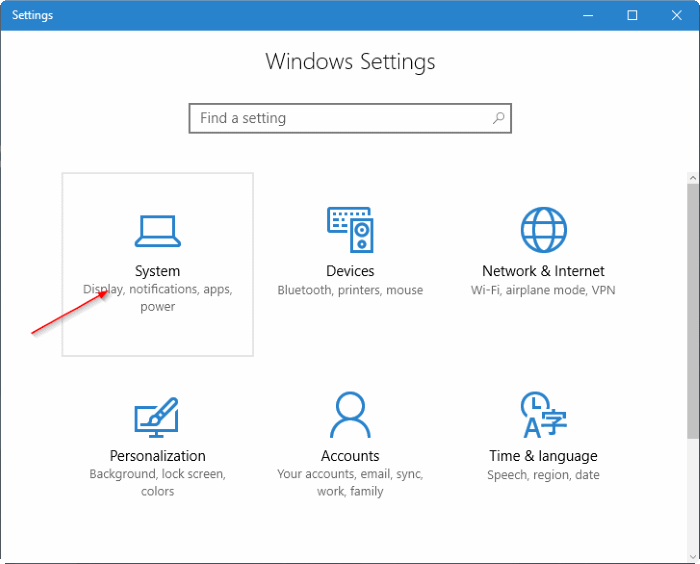 For convenience, on the Settings page, Windows 10 displays Windows logo on the drive where Windows 10 is installed. 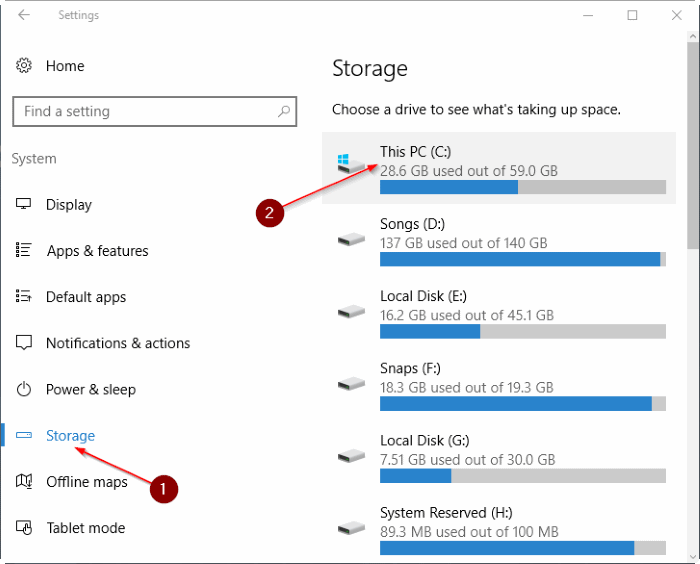 Step 4: Once you click on the system drive (where Windows 10 is installed), you will see the Storage usage page. The page displays the disk space used by system and reserved files, apps & games, documents, pictures, music, videos, mail, desktop, other users, maps, OneDrive, and temporary files. 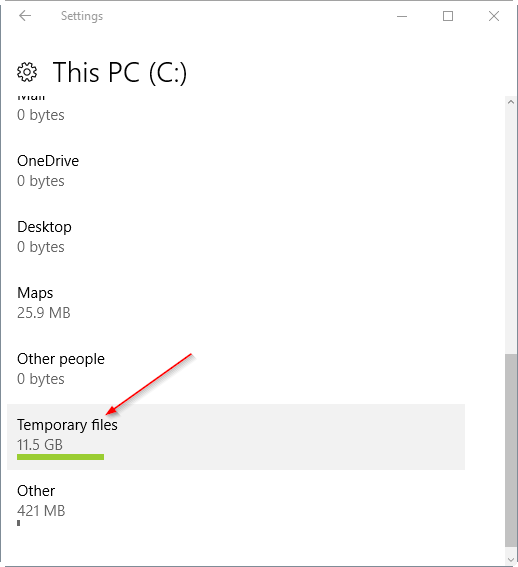 Step 5: As you can see in the picture below, just below the Temporary files entry, Windows 10 displays the space used by temporary files. On my PC, temporary files are using a whopping on 11.5 GB. Note that Windows 10 takes in to account of space used by Downloads folder, Recycle Bin, previous version of Windows (Windows.old folder), and temporary files folder while calculating the size of temporary files. Step 6: Next, at the Temporary files page, select the check box next to Temporary files and then Remove files button to delete all temporary files from your Windows 10 PC. If you see the confirmation dialog, click Yes or OK button to begin deleting files. Step 1: Open the Run command box by simultaneously pressing Windows logo and R keys. 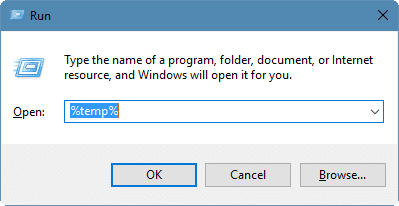 Step 2: Type %temp% and then press Enter key to open the Temp folder containing temporary files. Step 3: Select all files and folders and then click the Delete key to delete all temporary files. It’s a good idea to move temporary files to the Recycle Bin and permanently delete them after a few days so that if a program or Windows doesn’t work properly after deleting temporary files, you can restore them. @ Stephen, thank you so much. I have corrected it. 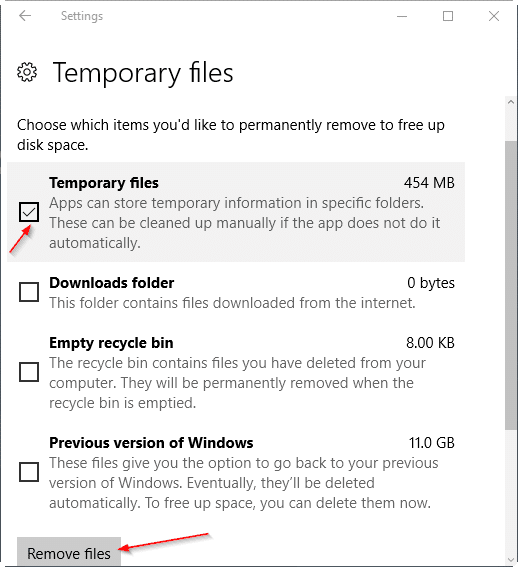 The word, Advertisement, is misspelled in the upper right corner of your page, How To Safely Delete Temporary Files In Windows 10. All you need to do to have a clean PC.Thank you. Thank you so much you were my heroes today. Super clear and easy instructions, not like others with frecking long poems (articles) that help nothing at all. Thanks again. Cheers! Excellent article. thanks very much. Excellent article, helping me a lot. Thanks. Excellent – no frills, no experts trying to be poets, just straight forward instructions with excellent diagrams. The bets ever. Thanks for finally writing about >How To Safely Delete Temporary Files In Windows 10 <Liked it!